The weather is starting to cool just a tiny bit here in Atlanta, and I feel like today's dress - black with floral detailing - is a great dress to start making that transition into Fall. Although I steamed the dress this morning before I put it on, it still looks so wrinkled. Oh well! I should not expect much from French Connection dresses. They are always cute and chic, but they aren't well made. Take my advice: NEVER pay full price for French Connection. 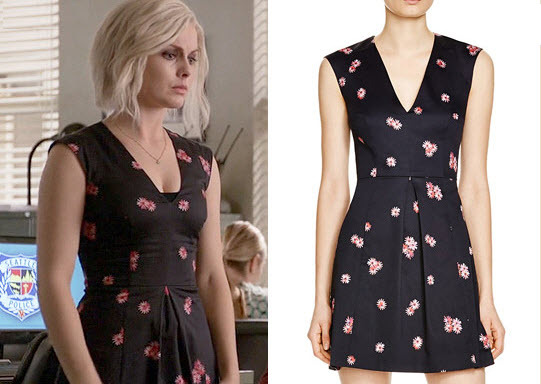 The dress was seen on a season three episode of iZombie.